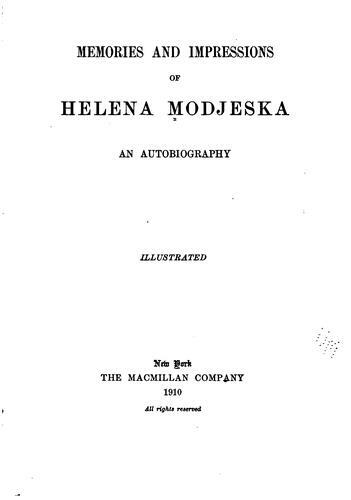 1 edition of Memories and impressions of Helena Modjeska found in the catalog. Add another edition? Are you sure you want to remove Memories and impressions of Helena Modjeska from your list? Published 1910 by The Macmillan Company in New York . June 12, 2009 Edited by ImportBot Found a matching record from Internet Archive . August 27, 2008 Created by ImportBot Initial record created, from Western Washington University MARC record.